Following the court verdict, which saw more members of the gang responsible for Britain's biggest ever burglary convicted, this is the full, inside story of how they nearly pulled off Easter 2015's £14 million record-breaking heist. 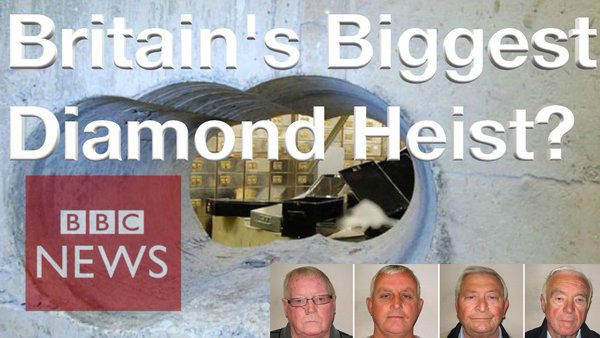 With exclusive access to the elite Flying Squad and their dramatic investigation, including remarkable covert surveillance of the thieves boasting at what they'd done and the moment loot was discovered hidden in a cemetery, this is the definitive story of the Hatton Garden heist. Six men have been convicted over the £14m Hatton Garden vault raid, believed to the largest burglary in English legal history. Cash and jewellery including gold, diamonds and sapphires, were stolen in the elaborate raid, carried out over the Easter weekend in 2015 in London. CCTV showed that the men would often meet a short distance from London's diamond district, making plans at The Castle pub on Pentonville Road in Islington. 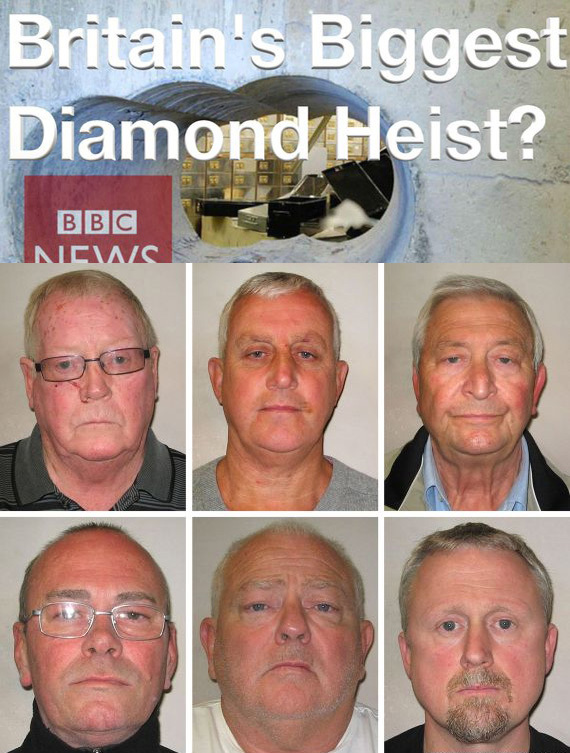 The gang ransacked 73 boxes at Hatton Garden Safety Deposit Ltd after using a drill to bore a hole into the vault wall. CCTV also shows them arriving in a white van and unloading tools, bags, metal joists and wheelie bins. Carl Wood, 58, from Cheshunt, Hertfordshire, and William Lincoln, 60, of Bethnal Green, east London, were found guilty of conspiracy to commit burglary, and conspiracy to conceal, convert or transfer criminal property. Hugh Doyle, 48, of Enfield, north London, was found guilty of concealing, converting or transferring criminal property.